Planning your dream bathroom can often feel like a nightmare when a small bathroom seemingly puts paid to your grand schemes. With barely any space to spare, small bathrooms require big thinking. That's where our bathroom manufacturers and product designers come into play. Designed specifically for smaller bathrooms, the Compact bathroom suite range comes in a choice of square or round designs, perfect for cloakrooms, ensuites or simply small bathrooms. With a short projection pan and slimline toilet seat, the close coupled toilet is nice and compact, whilst space-saving corner toilets and basins are also available. When it comes to bathroom suites for small bathrooms, the Vermont is right up there with the very latest in trendy, contemporary designs. Featuring angular shapes and clean lines, it comes complete with a short projection toilet (which you wouldn't believe was short projection, unless you looked carefully!). 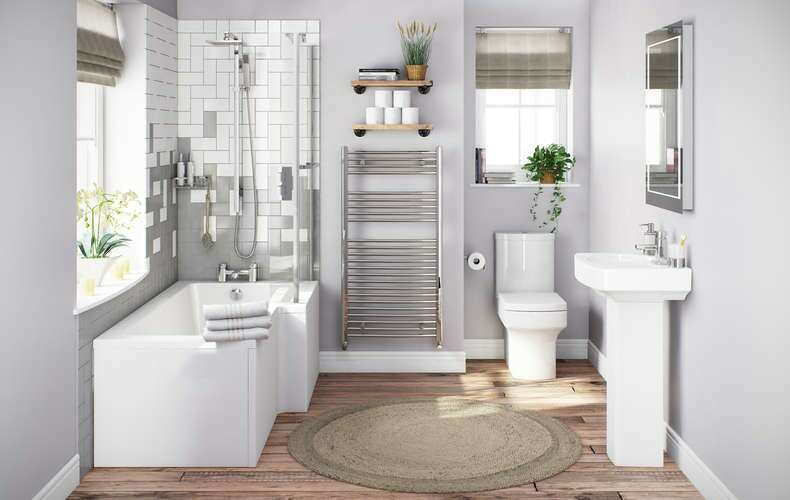 One of the most versatile bathroom suites for small bathrooms, the Deco suite can be coupled with a whole range of styles, from farmhouse, to vintage, to clean and modern. Plus, at just 490mm wide, the basin is neat, compact and won't take up vital space. Proof, if further proof were needed, that small doesn't have to mean compromising on style. 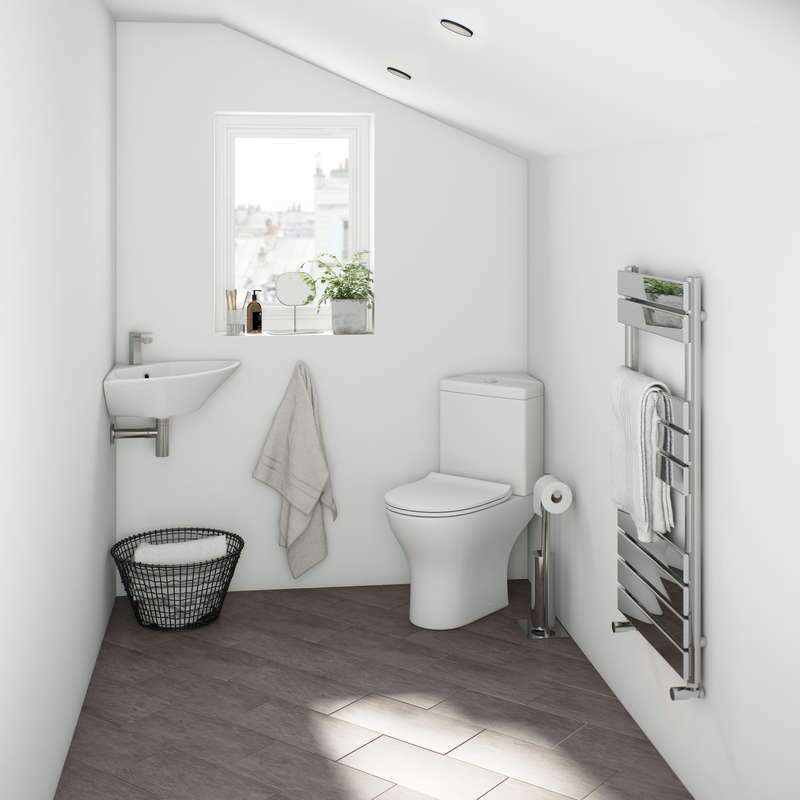 With contemporary bathroom suites like the Verso, you have the option of a wall hung toilet, which could be complemented with a small, half height stud partition, plus a range of wall hung basin options, all with a contemporary, angular design. Check out our stunning range of designer bathroom suites for small bathrooms for more great ideas. 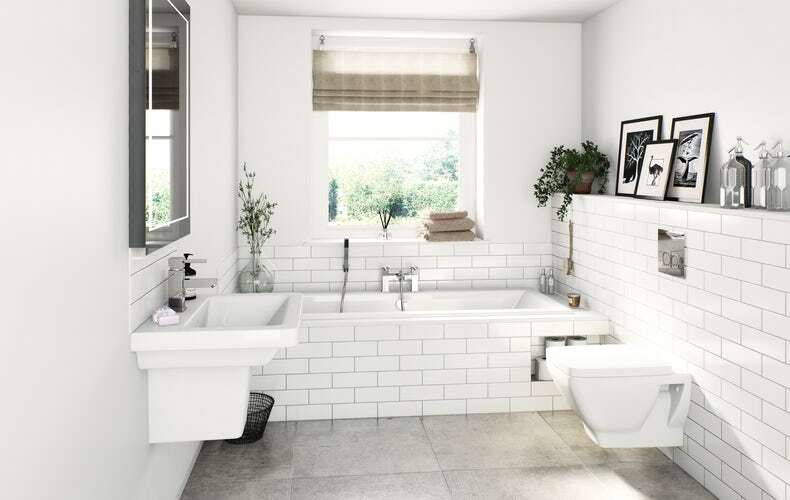 Comprising stylish yet functional combined basin and toilet units in a choice of finishes, these innovative and compact units are ideal for smaller bathrooms, ensuites and cloakrooms. Planning a small bathroom can prove tricky. With this expert room planning guide, we'll show you how to maximise space.